It’s not over until the school bell rings. The school year is coming to a close! Now is the time to celebrate achievements and reflect on the memories of all that’s happened. 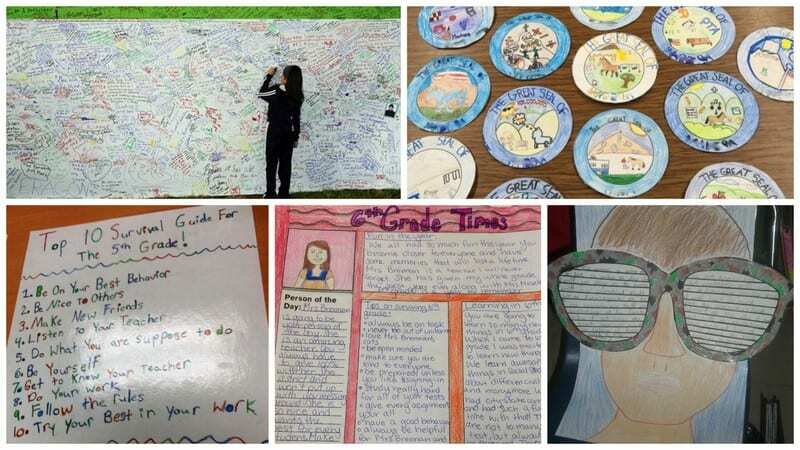 Read on to find creative ideas for end-of-year assignments and activities that will get your students remembering all of the great things they accomplished in the last nine months, and looking forward to exciting days ahead. 1. List what you’ve learned from A to Z. 2. Send thank you notes. This is a skill every kid should learn—writing and sending thank you notes. 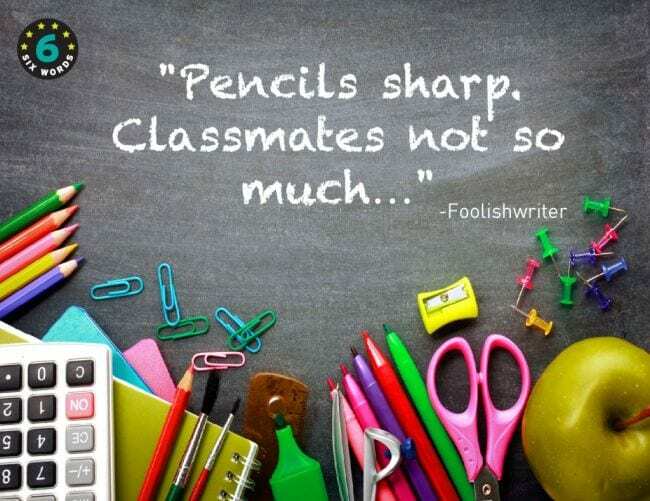 Have kids write a note to someone who made their school year special, then seal them in envelopes, address them, and deliver by hand or mail. And while you’re at it, why not write a thank you note to your own class? Ask your students to sum up their favorite school-year memory (Science Fair? Field Day? Creative class presentations?) in one snapshot. Younger kids can draw pictures of the event, while older kids are likely to have a photo on their phone they’d be willing to share. Assemble them on a bulletin board with a few words from each student about what made that moment so special. Instead of counting down the days until the end, count up the days from the year behind you! Get students counting by having them use a calendar to figure out how many Mondays you’ve had this year, how many Fridays, how many P.E. days and how many Jello-in-the-cafeteria days. Then work together to make a bar graph and hang it on the wall. 5. Let the students become the teachers. Take a break and let the students lead the class for a change. If you’re reviewing material for finals or an end-of-year test, have each kid (or a group) lead the review session on a particular topic. You can also have your kids create their own lesson on a topic they’re passionate about. 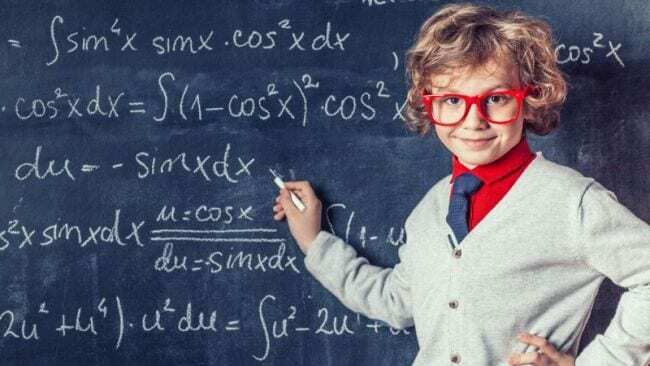 And we love this idea of having kids in one grade make and present lessons on what students in the grade below them can expect to learn the following year. There are a lot of options here, and all of them give you time to take a breather! 6. Talk behind each other’s backs (really!). Have your students help tape a piece of lined paper to one another’s backs. Have each student get out a felt-tipped marker (not a Sharpie—it may bleed through). Set a timer and put on some favorite music. Let the students mix around the room and write a positive message on each student’s paper. For example, The best thing about you is …, What I appreciate most about you is …, I remember …, etc. After a set amount of time, have students stop, remove their papers from their backs and enjoy reading the words of love from their classmates (and you too!). These DIY memory coasters are easy to make and give kids an end-of-year souvenir to take home. Get the free printable templates and complete instructions here. 8. Read a book to get some closure. Little ones especially have a hard time with the end of a school year. Next year lots of things will be different, and that can be a sad and even scary thought for some. Try this list of young reader books like The Egg by M. P. Robertson to spark conversations about what kids have learned and what lies ahead. 9. Plan a summer trip. Here’s an end-of-year assignment that includes both art and writing. 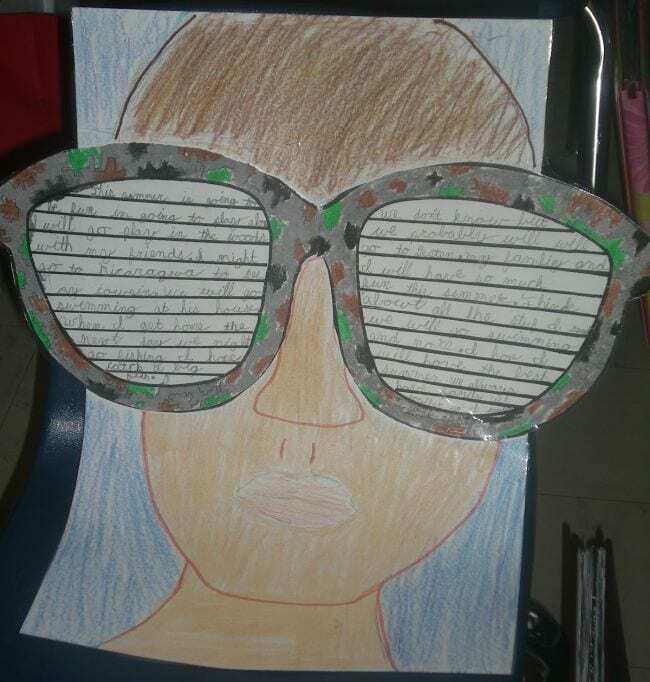 Have kids draw a portrait of themselves, then use the template at the link below to cut out and decorate an enormous pair of sunglasses. On the glasses, write about a summer trip they’re going to take, or just one they’d really like to take. 10. Raise a glass and toast your class. Students get a chance to practice public speaking in a very meaningful way in this end-of-year activity. Get a few liters of ginger ale and plastic champagne flutes from a party store, arrange your students in a circle, and have everyone say something—maybe a goal for the next school year, well-wishes for their peers, a favorite memory. After everyone has spoken, lift your glasses with a cheer and celebrate to end the school year. 11. Author a six-word memoir. This project has taken the world by storm. In six words, can you capture the essence of your school year? Kids can spend a little or a lot of time on this one, refining their words and even illustrating them. Collect them all into a slide show (anonymous, if kids prefer) to share on the last day. 12. Take a field trip to the next grade. Take your class to visit the classrooms they’ll be in next year. Arrange to spend some time with the teachers, talk to the students, and hear more about what they’ll be learning. 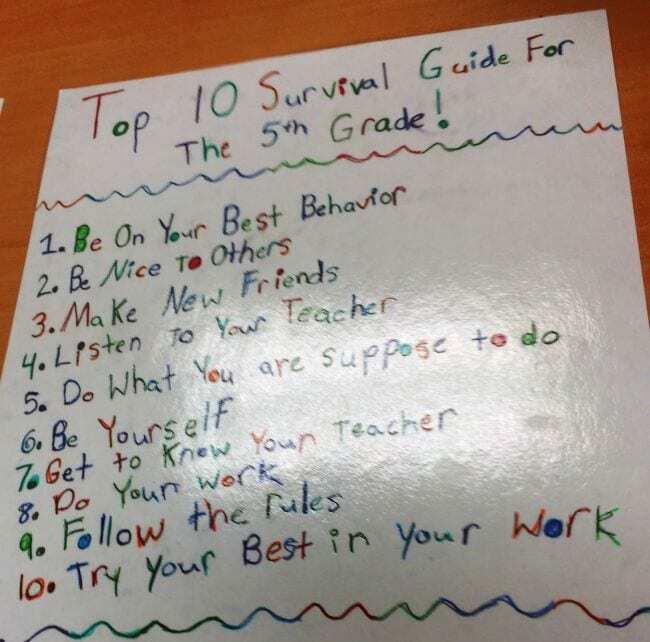 This is a good way to allay fears many kids have about moving on from a classroom where they’ve been comfortable. 13. Design a school seal. 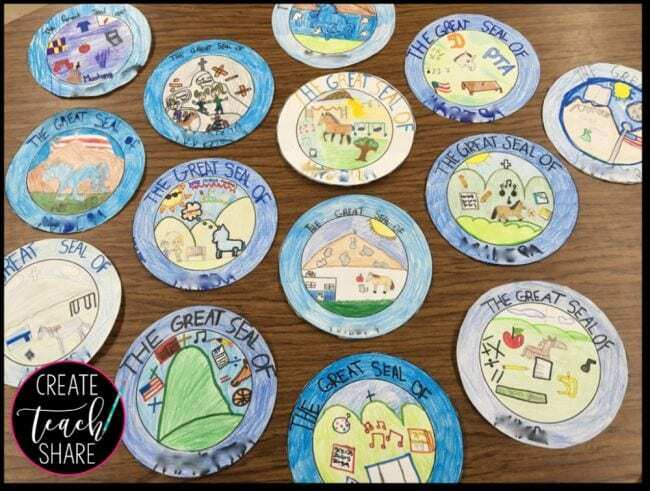 In this fun end-of-year activity that’s perfect for social studies, have your students design a “Great Seal” for their school. First, break them into groups to talk about what makes your school special and memorable for them. Then, have each kid (or group) create their own “seal” based on the ones used by states and cities. This project is especially meaningful for kids about to move on to another school like junior high. Time Magazine can’t have all the fun! Help your students to compile of list of the “People of the Year” for your class. Include people important to your classroom (the custodian, the principal, everyone’s favorite “lunch lady”) along with classroom visitors and speakers from the year. Add in some people from current events and pop culture (the current president, a favorite musician) and even folks they studied throughout the year (Abraham Lincoln, Amelia Earheart). Try to take or draw portraits of each, and assign each student to write a brief bio of one of the people included. 15. Write letters or tips for next year’s class. Who better to advise next year’s class on what they’ll need to succeed than the kids who’ve just finished doing it? They can write letters on their own, or work together to create a master list of what it takes to make it in the next grade. Ask your students to create a wall-worthy piece of art that reflects something they learned in science. Did you study plants? Maybe a watercolor of flowers. Or if you studied space? A cosmic-inspired number. Send their work home to help them remember, or collect them to create a bulletin board that will inspire next year’s class about what they’ll be learning. 17. Host an open-mic night. Encourage kids to share the writing they’ve done in (and out of) class with an open mic night. 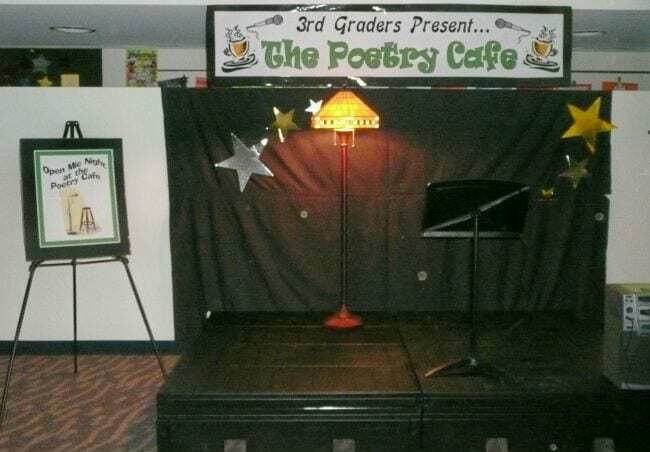 Set up a stage complete with microphone and stool—get great tips for this at the link below—then bring kids up to tell a story or recite a poem. Overcome stage fright with a cool casual vibe and plenty of snacks. 18. Compose an end-of-year continuing story. Write several story titles—”The Great Summer Adventure,” “How My Teacher Lost Her Mind” or “My Teacher, My Hero” at the top of blank pages. Then, have each student start a story and after five minutes, pass the story to a neighbor who will continue writing. Continue writing round-robin style until you have several stories to read aloud to the class. 19. Publish a year-end newspaper. You can do this one as a group or individually. Create a basic newspaper template and have the class fill in the “front page news.” Recap the year, offer advice, illustrate favorite memories, and more. Then, pass these on to the grade below to give them idea of what lies ahead. 20. Perform a High (or Middle or Elementary) School Musical number. Break your students into groups and have them create (and perform) musical numbers commemorating the year. They can write new words to existing tunes, choreograph a lip-sync performance to an inspiring or memorable song, or even come up with something entirely new. Invite parents or other classes to a final-day performance! 21. Assemble a Book Hall-of-Fame. Have each student write (or draw) a reflection on the best book they read over the year. 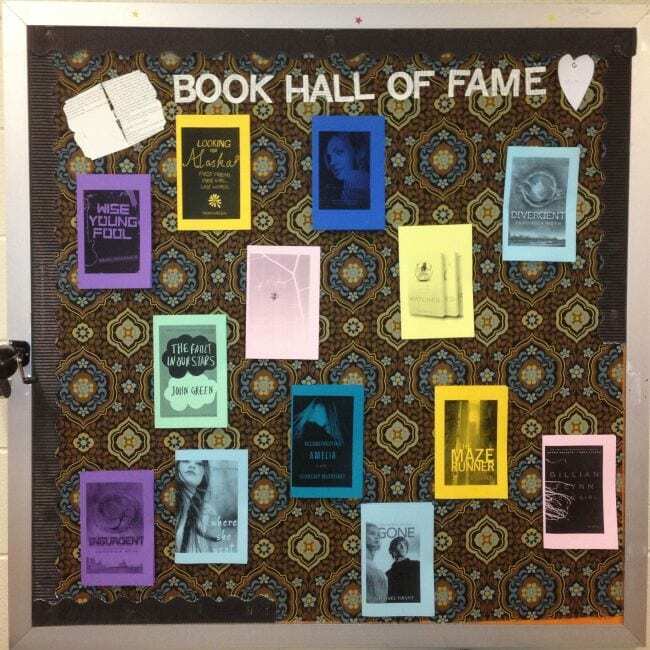 Then, save their reflections and post them on a bulletin board so that next year’s students can glean reading ideas. 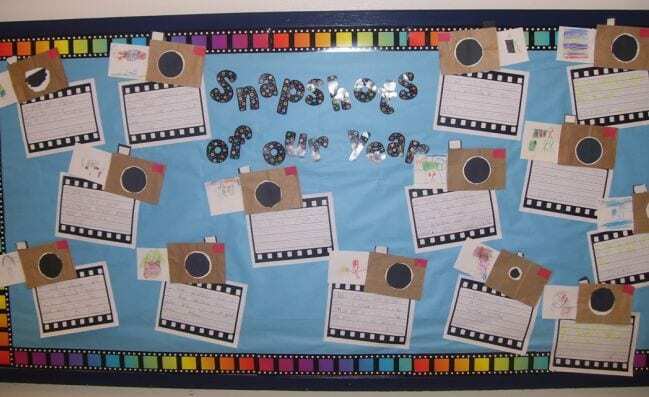 Have each student write out one memorable moment from the school year on a slip of paper. Collect all the slips in a bag, hat, etc. Divide kids into teams and have them come up one team at a time, choose a slip and act out the memory for the group. No need to keep score—the goal is just to relive all the happy memories from the year. 23. Start a school graffiti wall. Choose a wall in your school or classroom and encourage kids to sign their name and date with a quote or other memory. Use permanent markers or small paint brushes. Each year, photograph the wall and then paint over it to start anew. If you have enough space, these walls can last longer and only be painted over every so many years, creating much more enduring memories. No wall room? Try a bulletin board or large sheet of paper instead. 24. Hold a “Stuff You Should Know” event. Take a day or a week to pass on important things you want your kids to know as they move on in life without you. Share poems, songs, TED talks, quotes, books, and tips that you think will help them along their way. Don’t forget to include simple life lessons (registering and preparing to vote, protecting yourself online, how to behave on an elevator) that school usually doesn’t teach you. Learn more about this end-of-year activity here. 25. Print up a growing tree. 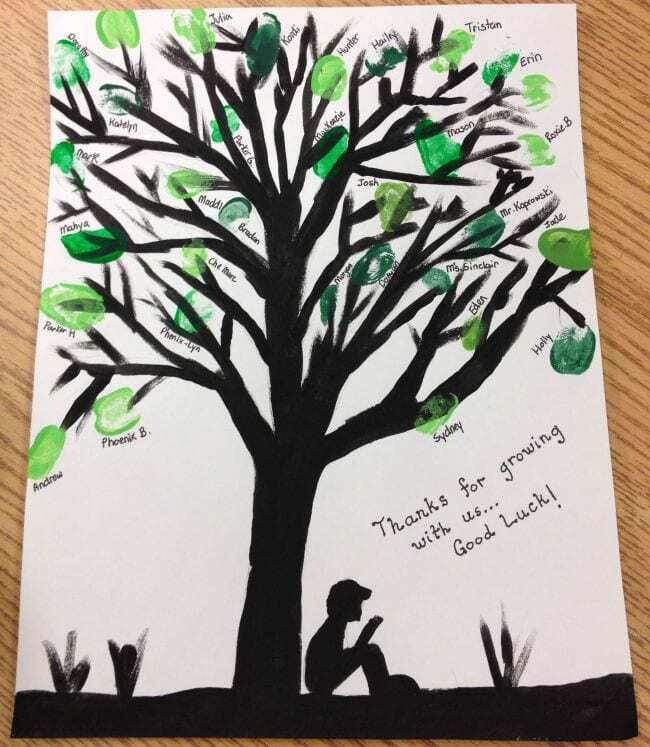 Capture each student’s fingerprint as a tree leaf! Label them with their names, then hang them in your room from year to year so kids can see who’s come before them. 26. Build a portfolio showcase. Throughout the year, have students save their best work in a folder or box. Then, at the end of the year, each student chooses their favorite items to display in a portfolio like a binder or display board. Invite parents and friends to come view everyone’s achievements. 27. 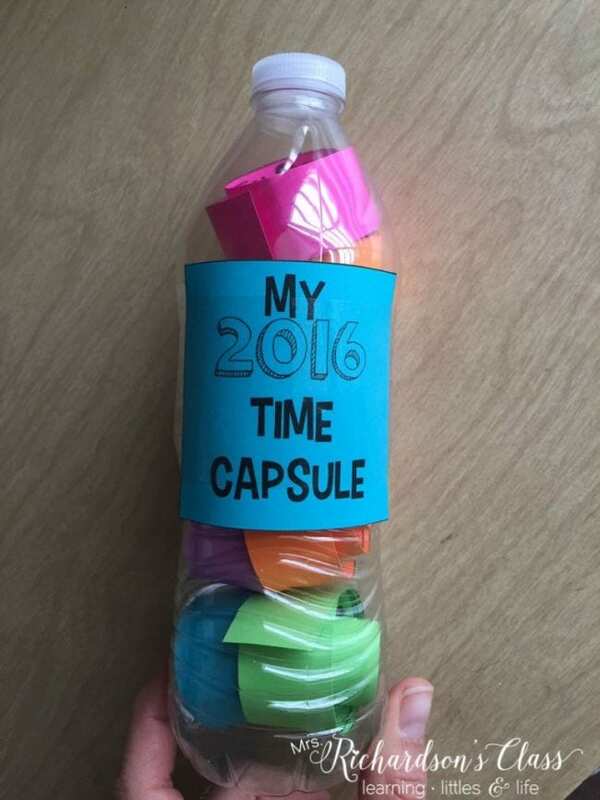 Put together time capsules. Students will have so much fun assembling time capsules to be opened some day in the future. 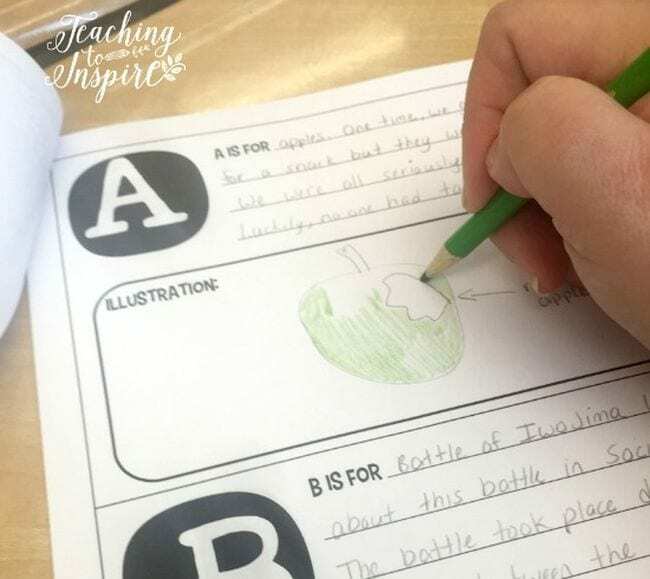 These can be as simple as a plastic water bottle filled with information (try these free printable prompts) or a shoebox stuffed with items to represent what they did and learned over the school year. 28. Draw a school year timeline. Classroom walls can start to look empty at the end of the year as you take things down to prepare for summer. Temporarily fill in the space with a long strip of butcher paper, then have kids create a timeline of the year. Break it down by month, then ask kids what they remember. 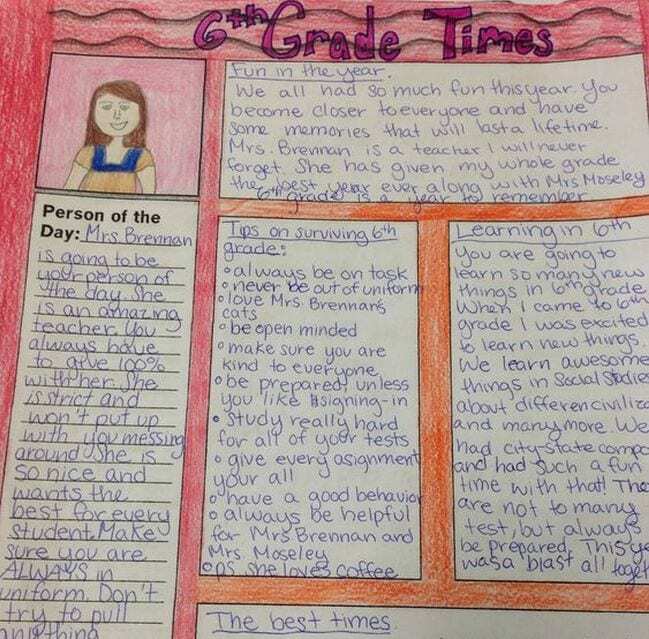 Prompt their memories by having them look over their work (what a fun way to review!) and don’t forget to include events, speakers, and holiday celebrations. 29. Plan a dream vacation. Kids are already dreaming of how they’ll fill the summer hours, so this last-minute math activity will be pure fun! 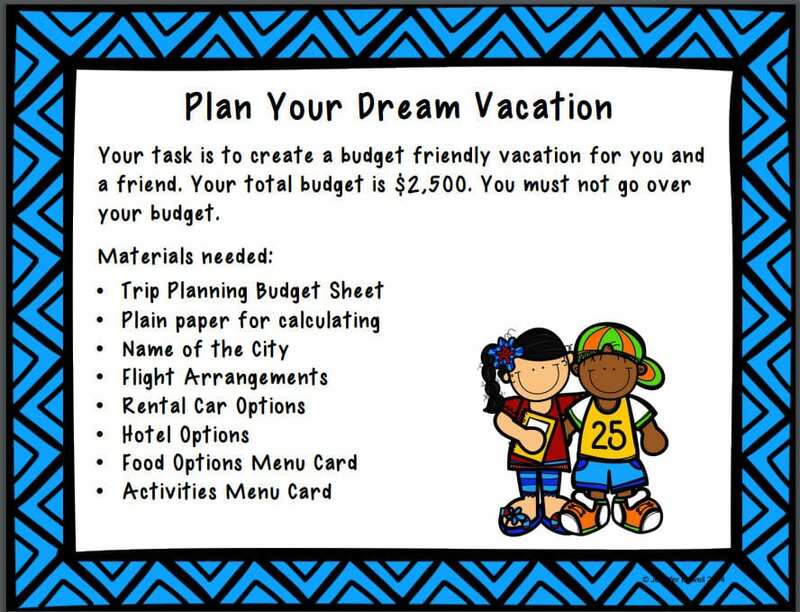 Give kids a budget (say, $2500) and then send them off to research whether their dream trip can be accomplished. Make sure they include airfare or gas money, lodgings, food, spending money, and all the incidentals that add up when you travel. 30. 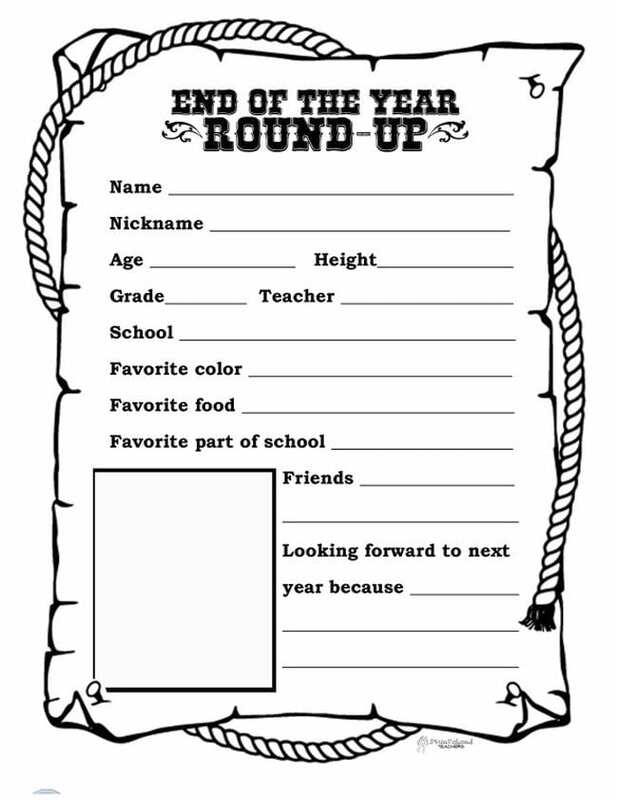 Fill out an end-of-year roundup. Sometimes you just need a quick activity that doesn’t take a lot of prep, and that’s where this free printable comes in. Personalize it by taking and printing a photo of each student, or have them draw their own portrait in the space provided. 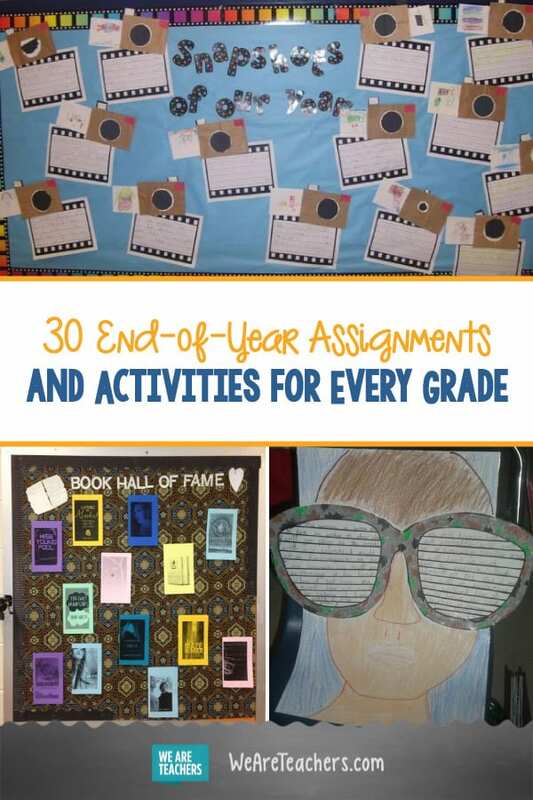 What are your favorite end-of-year assignments? Come and share in our WeAreTeachers HELPLINE group on Facebook. Plus, 21 Students Gifts You Can DIY for a Dollar (or Less)!